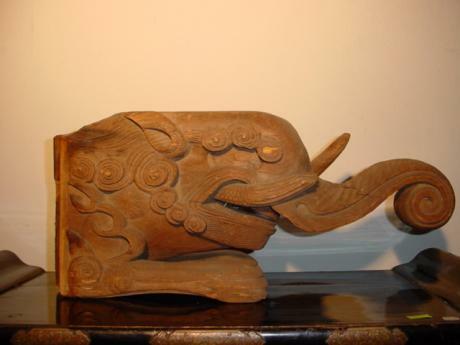 Japanese 19th century carved wooden elephant architectural element. Beautifully carved out a single piece of wood. 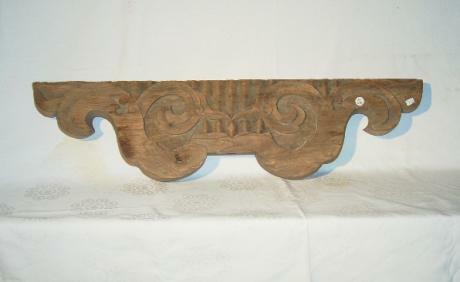 Wonderfully carved with great detail and expresson. The elephant measures 23" long, by 10" tall by 5" wide. Japanese set of four wonderful small RANMA panels. The first is of SHISHI and peonies, the second is of KOI and waves, the third is of turtles and the fourth is of cranes. 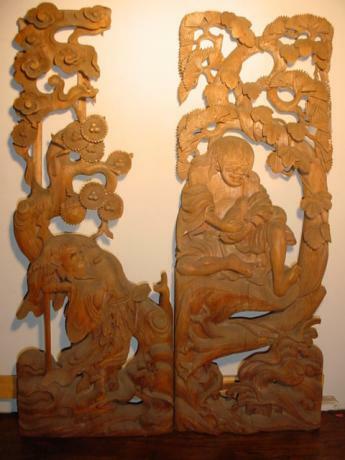 Each panel is carved in detailed and high relief with hand painted details. The panels have grooves in the back that were m.. 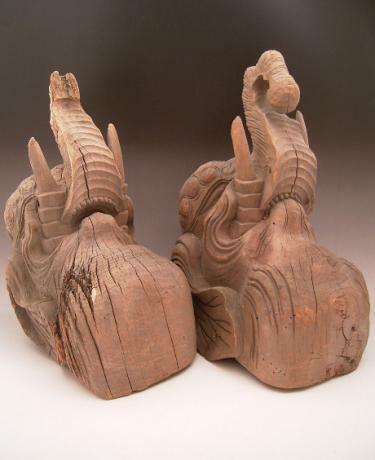 Pair of Japanese 19th Century carved elephant heads, one with its mouth opened and one with it closed. 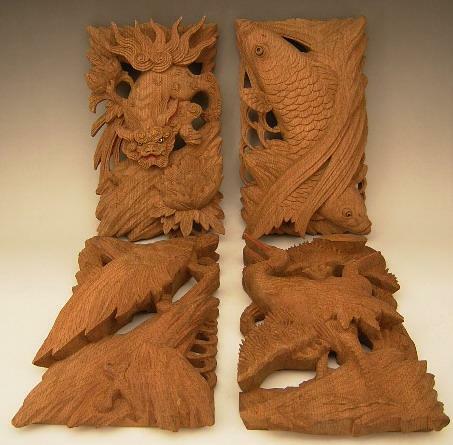 Each architectural piece is carved from a single piece of wood. 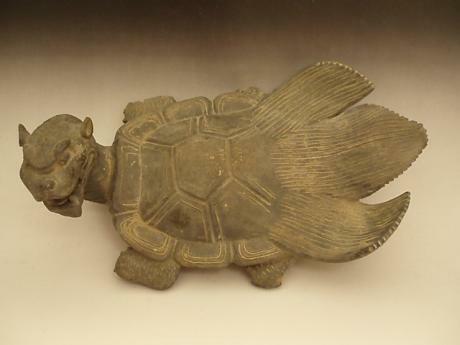 Beautifully carved with a lot of detail and expression. The elephant with the closed mouth measures 7 1/2" wide, 17" tall by 11" de..
Japanese Edo Period carved KEYAKI wood RANMA. 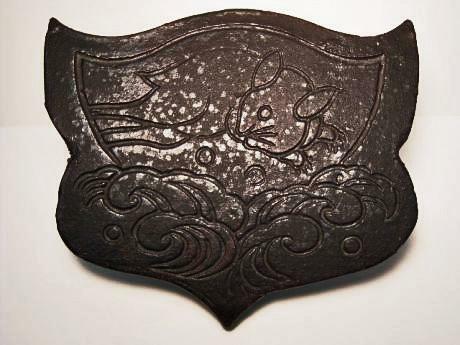 A wonderfully designed and carved wooden RANMA. Please also see the pair image of this RANMA in FC-58C. The RANMA measures 35" long by 9" tall by 2 1/2" deep. The RANMA has some old insect holes. 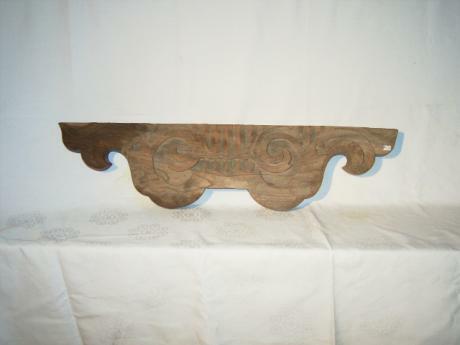 Japanese Edo Period carved KEYAKI wood RANMA. 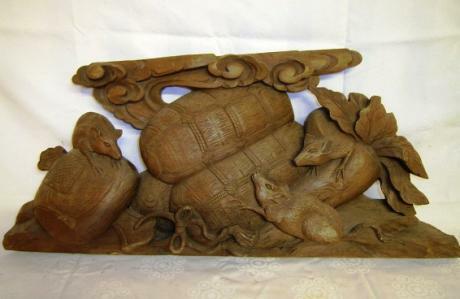 A wonderfully designed and carved wooden RANMA. Please also see the pair image of this RANMA in FC-58B. The RANMA measures 35" long by 9" tall by 2 1/2" deep. The RANMA has some old insect holes.